Prince's visits in Cracow Region, Romantic stay at palace - discover exciting Poland with us! 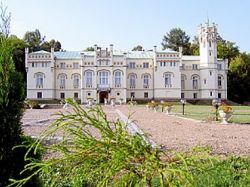 We would like to invite you for a visit in one of the most famous palace in Małopolska Region. Palace is an enchanted hotel promising patrons elegance, culture, relaxation and excellent cuisine. The architectural detail and antiques add to the charm of the historic hotel which was previously the residence of many Polish noble families. The estate features suites, standard rooms, conference rooms, leisure and recreation facilities as well as a world-class staff eager to offer superior service. The localization of the palace let us offer to our guests some special tailor-made programs of their stay, which complete their relaxation with “must to see” places in Southern Poland. *the price apply to min. 3 night stay for two person. - transfer to the Airport/Railroad in Cracow. Kalwaria Zebrzydowska is found to the south-west of Cracow. It is the second most famous Marian shrine in Poland after Częstochowa, annually visited by almost one million pilgrims and tourists. The Calvary Hill, now included on UNESCO World Cultural Heritage List, was arranged here 400 years ago as a replica of the hill in Jerusalem. The Via Dolorosa leads through 42 chapels. Processions are held during the Holy Week and on the Assumption Day (15th August).